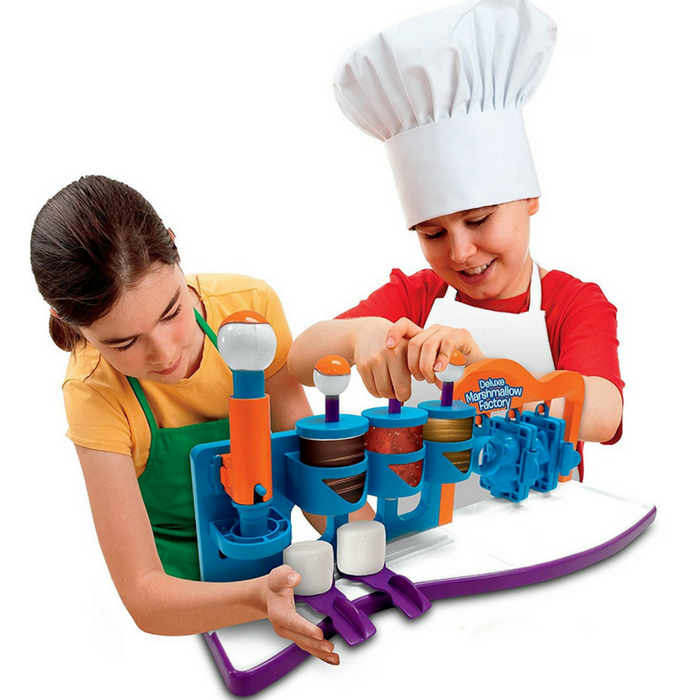 Taste’n Fun Deluxe Marshmallow Factory Kit Just $8.90! Down From $24! You are here: Home / Great Deals / Amazon Deals / Taste’n Fun Deluxe Marshmallow Factory Kit Just $8.90! Down From $24! Head over to Amazon to score this Taste’n Fun Deluxe Marshmallow Factory Kit for just $8.90 down from $24 PLUS FREE shipping with Amazon Prime or for orders over $25! Delight with amazing covered and stuffed marshmallow that made by you. You can Mold, Stuff or Dress your Marshmallow to create your own dessert. It comes with 1 Marshmallow Factory, 3 Extruders, 1 Marshmallow Driller, 1 Water Spray, 1 Skewers Base, 2 Skewers, 2 Holders, 3 Molds, 2 Containers with Lids, and 2 Topping Containers.